The following is a transcript of a Press statement that I read out at yesterday’s Press Conference which was held in a boardroom at M. Ravi’s office. Thank you to all the Press who attended in person, representing TOC, Mediacorp, States Times, Zaobao, Shin Min and Publichouse and all those who have been in contact by phone or email. M Ravi’s office will keep us posted as soon as we have a timetable for hearings and I will post that here. Obviously as the matter is now in front of the courts or ‘sub judice” and I began by warning about Contempt of Court , questions were subdued. If readers have any queries just post them here and If I can I will answer them. I don’t expect the Mainstream media to actually report on anything but despite that we all felt it was a good first step. I would like to thank M Ravi and his staff for all their help and professionalism particularly when M Ravi is so busy with some other major cases. Singapore could do with three or four more like him. Good morning. I’d like to thank you all for coming today. As you know on 6 July 2012, I filed in the High Court to request a judicial review of the government’s loan of US$4 billion dollars to the IMF. Before I answer your questions I would like to take a minute or two to clarify some points. As you know we have been trying to get an answer from our Finance Minister Tharman Shanmugaratnam and President Tony Tan Keng Yam about our Republic’s loan commitment to the IMF. So far, there has been no request for approval, no debate and only one question tabled in Parliament and this was clearly a stage managed exercise rather than a genuine backbencher protest. It is an appalling situation that it seems to take a court filing nowadays for a citizen to get an answer. · I have brought this action in my personal capacity as an ordinary Singaporean. That is because I believe this issue is too important to be restricted to a narrow partisan political view. I know that the majority of Singaporeans, if not all of them, have concerns over their CPF savings and our reserves. 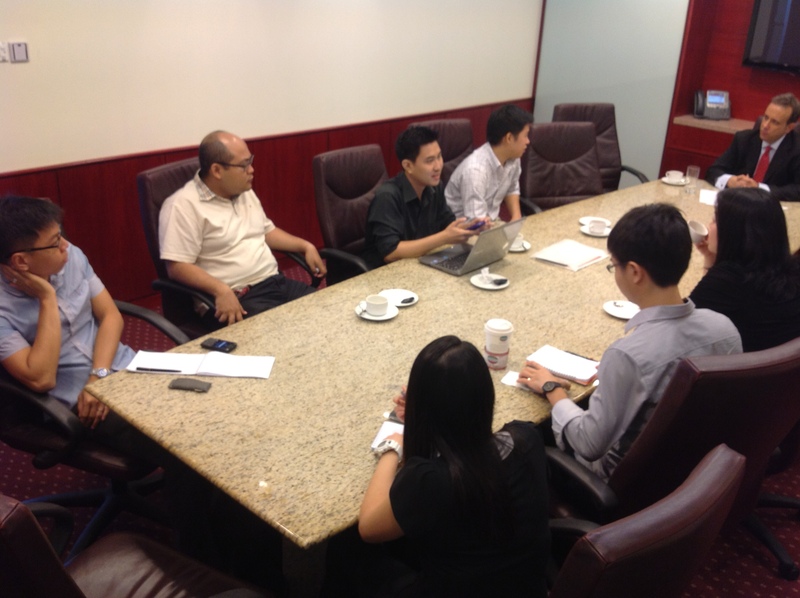 · Many Singaporeans are similarly concerned about government accountability and transparency. They would like Singapore to be a better place and they recognise that, a government fully accountable to its citizens, is a necessary condition for improvement. o Over twice the amount the government allocated in Budget 2012 for healthcare subsidies. o More than the total budget allocated to Health in 2012.
o More than forty times the amount MCYS has allocated to help needy families. o On a per capita basis it is more than three times the amount provided by the UK and 2.4 times what Australia, a much wealthier country, has provided. · The US and China, as of this moment, have offered nothing. Ditto Hong Kong whose economy is of a similar size to ours. · These other countries, which have pledged, have universally done so after proper robust debate, up against sometime severe opposition even public protests. In the UK, government backbenchers referred to it as “Bailout Bull”; one of the government MPs said “You might as well take the money and throw it into the nearest rubbish bin”. · Nations which pledged also seem to have used the promise of a loan as a bargaining tool, demanding something for their own citizens in return before giving away their money. Japan and Brazil being prime examples. What has our government got to show for the speed with which it agreed? The loan commitments involve the potential use of our reserves or government savings that come from taxes on the people of Singapore. This matter is now sub judice, so I am not going to comment on the merits of the case other than to say that the government’s arguments do not seem to have advanced beyond 1997. I am sad to say that some sections of the state media headlined their reports of this High court filing with the statement that the MAS had said that the loan commitment was not unconstitutional. This flagrantly disregarded the fact that the matter is now sub judice and could be interpreted as contempt of court. I will be taking legal advice on this separately. · I will add that questioning the IMF loan commitment, given with a complete disregard for the right of Singaporeans to know what is done with their precious money, is only one step towards transparency. · I have also written to the Finance Minister and to the IMF asking questions about discrepancies in the Budget and in the government’s finances. I believe we have a right to know – indeed we need to know – what has happened to the huge surpluses extracted from our people through years of fiscal austerity. Fiscal austerity, which really amounts to neglect of our people’s welfare. · We will continue to try to force the government through every means at our disposal to provide hard figures on the returns on the people’s money and why they appear to be so low. In a robust democracy, a government does not hide behind technicalities and dispense with the need to make itself accountable to its people for the use of their money. Rule of Law – Dirty Tricks? Thank You very much for bringing it up and challenging the govt to be accountable to the people. Really appreciate and respect your courage and intelligence. ALL THE WAY!! !